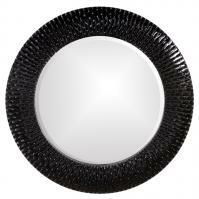 The amazing depth enhancing look of this round mirror frame is actually made up of very simple elements. It is the way they are combined that creates the spectacular look. Small and thin metal wires are attached at each end to the round frame base. They are raised up from the surface and that is what achieves the deep dimensional look. 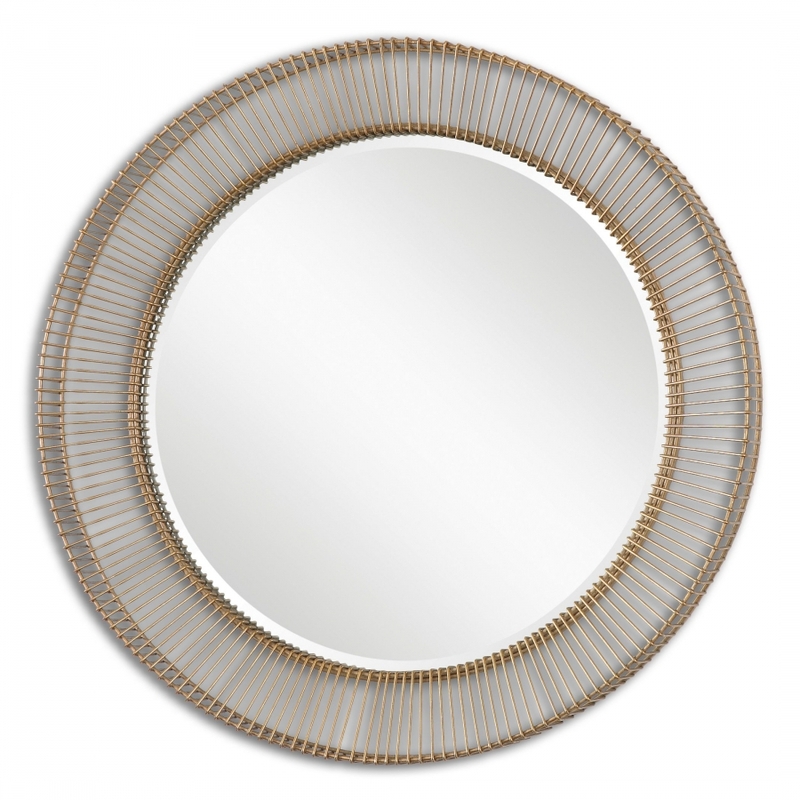 The wires are made with a beautiful golden tone that complements the bright reflective surface. 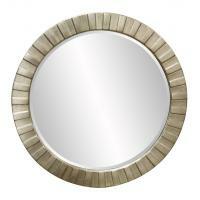 The circle mirror is 30 inches wide which offers a large space for personal viewing. 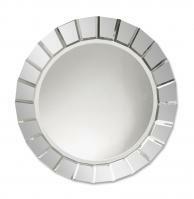 Placing this piece in the smallest of areas will bring a spacious feeling.